Kiraca Trajkovska, the once powerful businesswoman who co-owned the large forwarding Fershped company, was kicked out of her apartment today following an ownership dispute. The event was captured by a pro-Government news site who filmed the police, and the Interior Ministry informed that the they were ordered to participate in her removal by a court appointed officer. 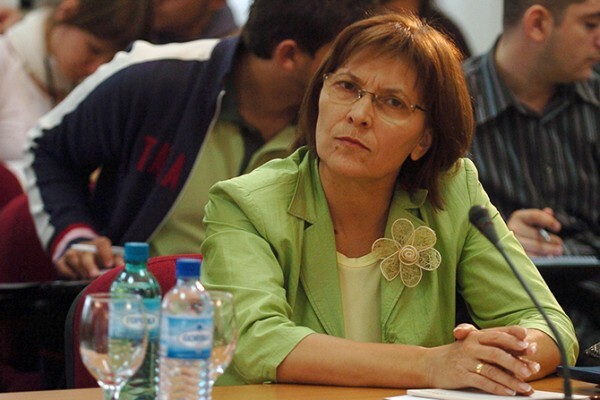 Trajkovska was long considered the right hand woman of Fershped manager Sterjo Nakov, and ran the company through the murky early years of Macedonian independence, when Fershped was often accused of smuggling through the double trade embargo which affected Macedonia. More recently, she was involved in a tussle with Nakov over who will control the company before selling her shares in the company.